On Thursday June 21st, the US Supreme Court ruled in favor of the state of South Dakota vs. Quill Corporation that states have the right to collect taxes on internet sales regardless of whether or not you have a physical presence in the state. 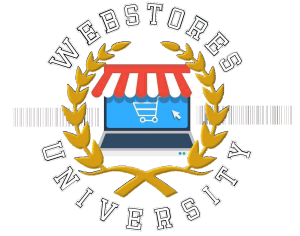 This means that as an ecommerce company selling through your website, you are now responsible for collecting the bewildering array of taxes levied at the city, county, and state level everywhere in the United States. And you thought the GDPR privacy issues in the European Union were a mess! This ruling is going to be a game changer, and is a serious concern, especially for small businesses selling online. The case allowed that South Dakota has the right to collect sales tax on retailers with more than $100,000 in sales or 200 transactions. That is a pretty small amount, meaning that almost anyone selling online is required to collect and report sales tax regardless of where they are located. We’ve probably all been expecting this for some time, as physical retailers have complained about an unlevel playing field as they’ve lost sales to online etailers, but that doesn’t change the impact for small businesses who now have to comply with individual laws in the 45 states that collect sales taxes. Is this really effective immediately? According to an article USA Today, it will be a few more weeks before it goes into effect. DigitalCommerce360.com states, “Given the South Dakota law requirements, if consumers in South Dakota buy online at the same rate as the rest of the country, the ruling would mean that any e-retailer selling about $43 million annually in the United States would have to comply with the law. ” So that isn’t quite as bad as it initially sounds, but it is going to change online sales and you need to be prepared. Many large ecommerce companies, including Amazon, have been advocating for a flat national internet sales tax for years. In my opinion, this makes the most sense. Here is what I think would make the most sense for online etailers (and probably for the states that have to administer this): collect a fixed national tax, and divvy that up based on the number of representatives that state has. Thus, New York would get a proportionally larger share than Wyoming. Every state would get their fair share of taxes, the US could take a percentage as well, and it would not cause an undue burden on the small mom and pop just trying to make a living. Of course, I don’t expect anyone to listen to me, but eBay has started a petition to combat the new sales tax regulations. You can sign it here. “Retailers have been waiting for this day for more than two decades,” says Matthew Shay, president and CEO of the National Retail Federation. But the problem with this ruling is that it puts small etailers at a huge disadvantage. Bob Hetu, vice president of retail for analyst firm Gartner, correctly states, “At this point, people really are making their purchasing decisioons based much more on convenience, I don’t think they are making decisions based on sales taxes.” That is true – we’ve seen for a long time that convenience is the number one people buy online, not cost. Total cost, including free shipping does play a role, but it is not the primary factor. What this decision does is make it so that many etailers may opt for not selling on their own platform, and only working with marketplaces like Amazon (who are already equipped to handle taxes). This creates MORE competition for brick and mortar retailers from Amazon, not less. Steve DelBianco, president and CEO of e-commerce advocacy group NetChoice, says the court’s decision puts a burden on online retailers. 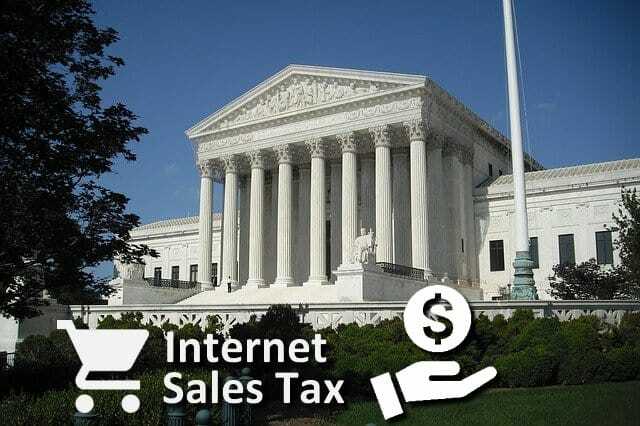 “While a fraction of online commerce was free of sales tax before this ruling, the Supreme Court has now created an even greater imbalance by placing far greater burdens on internet shopping compared to its offline counterparts. A brick-and-mortar business won’t have to comply with the differing rules of over 12,000 tax jurisdictions, or integrate costly and complex tax software into its operations. But small web businesses will, eating away at their already razor-thin profit margins,” he says. So what can you as a small online etailer do? If you have WooCommerce as your shopping cart platform, the JetPack option automatically calculates the correct sales tax based on your zip code. I expect that JetPack will be updating their software so that the collection of state sales taxes will be in compliance. That doesn’t make filing your tax with the individual states any less cumbersome though. Only time will tell, but for now, remember to sign eBay’s petition here. This entry was posted in Newsletter, newsletters. Bookmark the permalink. ← Why Do Websites Break?